Talbot Smith was born on October 11, 1899, in Fayette, Missouri. His early education was received in various parishes in the western portions of the United States. In 1917, Smith entered the United States Naval Academy. Following his graduation, he began his 14-year Naval career. 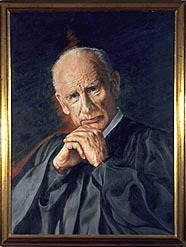 Smith was graduated from the University of Michigan Law School in 1934 and practiced law in Detroit and Ann Arbor. In addition, he taught law at the University of California at Berkeley as well as at the University of Missouri. During World War II, Smith served with the Office of Price Administration. He was in charge of civil litigation, as well as serving as a hearing administrator.